Today I'm going to talk about my recipe for success on the squash court. Many people think there is some secret formula to becoming a great squash player; that the pros must be doing some special drills, training routine or know something that we don't! I bet if there was a poll done among all the top pros their would be plenty of differences in training methods.We can clearly see different tactics and techniques, so there isn't only a single method to becoming a great player. So how did they do it? How did they become so good? In a dynamic sport such as squash there are plenty of things that are vital to success, but there are some things that all top players have in common. All top players have spent the time on court perfecting their craft. I'm sure many of you are familiar with the term 'deliberate practice.' Let's take a look at this in further detail. 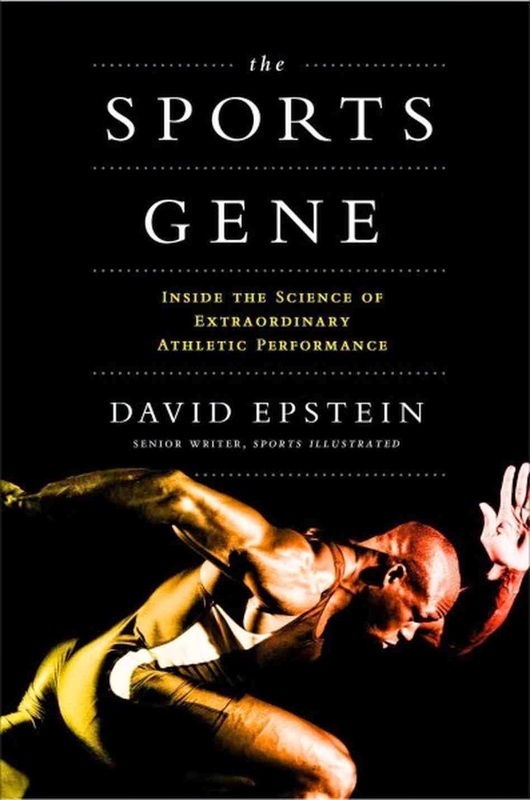 I'm in the midst of reading The Sports Gene (pictured below) at the moment and they discuss a study of the differences between grandmaster chess players and the master chess players (1 step below) and city champions (a few steps below). They wanted to determine why these other people couldn't become grandmasters. There was another similar study that looked at the difference in musicians. Sorry kids, I don't mean Justin Bieber or Katy Perry! I'm talking about those that play an instrument. What makes the best the best? Basically these studies found the difference was that the top in their field spent a significant amount of time practicing independently. After a few years of this additional daily practicing these top musicians and chess players had spent thousands of hours more engaging in deliberate practice. So if you want to know how to improve, I've said it before and I'll say it again, get out and solo hit! Get into a routine and make it part of your weekly training plan. You can look at a previous post here if you want to know some solo drills you can do (http://www.serioussquash.com/2014/06/solo-hitting-drills.html). When I asked Nicole Bunyan (who I did a profile on here http://www.serioussquash.com/2014/09/athletic-player-profile-nicole-buyan.html) what was the one thing she wished did more of when she was training in high school, her answer was 'solo hitting.' This is how I became the best in Canada when I was young boy. I was very motivated and spent time almost every day hitting by myself. So if you're really keen and want to improve this is my #1 tip. You may be asking yourself why solo hitting is so important? It grooves your swing (and muscle memory) so you begin making small refinements to improve your preparation, power and accuracy. You'll notice pretty quickly how fatigued your forearm gets from doing some of the solo drills I listed in my previous post. As you build up strength you can have a shorter swing and still generate power. This is used a lot in the men's game for deception and disguising their swing. You don't see the top pros take huge swings when they hit drives from the front right corner or else they would be too slow to clear. I also find that being able to control the volley takes a lot of repetition. Volleying is such an essential skill at any level of the game. Of course solo hitting isn't in itself enough. We need to have relatively efficient mechanics and a sound understanding of the game. Again, going back to the chess study in The Sports Gene they discussed what made grandmasters so special. What they did was flash a chess board to different levels of chess players. The grandmasters were able to almost perfectly recall the exact setup of the board while all the others levels of players made more errors in recall. But when they repeated the same study with chess pieces in random sequences that would never occur in a game of chess the grandmasters were no better than the average chess player at recalling the board setup. This study demonstrated the importance of playing the game and learning the tactics. The book called this phenomena chunking information. The grandmasters quickly recognize the board setup from previous games. They simply have more experience seeing a variety of games. The example of chunking is why most people sightly struggle against opponents that are unorthodox or play without any structure to their game. We simply haven't had enough match time against people that play this way and we are slow to reposed and frequently make poor decisions. If you keep making the same mistake over and over and expecting different results it reminds me of Einstein's definition of insanity. So you have to know if it's the right choice and the execution just needs to be better or if it was an incorrect decision. So, now you know 2 of my not so secret secrets, solo hitting and learn the game. What else is there? As a coach it's easy to see the people that have been taught how to hit and move properly progress faster. This is something that is much easier to learn early in your development. It becomes much more challenging to change once your've spent thousands of hours engraining improper and inefficient muscle memory. After this I would say the most important areas to work on are the psychological skills and physical fitness. Physical fitness is often though of as the most important trait, but I've seen many physically gifted squash players that would be better off training their mental skills. Clearly you need both of these to be a great player, just don't underestimate the power of mental training. The last thing that I think is invaluable to becoming a top player is consistent measurable improvement. We need to know we are getting better; that all of our hard work is paying off. This is why I like findings areas to measure. This could be your ranking, but that doesn't always move up. So fitness testing, shot accuracy testing or something similar can be useful for this. As we change from kids to adolescents and adults things come up. Our priorities can change. Some people loose interest as they focus on significant others, families, school or work. I feel that a lot of these people would continue playing if they stayed motivated to improve. If you can see yourself improving it can be externally satisfying. You are mastering a craft. If you struggle in a match or a tournament things can go south and you may not like these low feelings. In times like this you have to remember that its' a game. Likely your livelihood does not depend on your results. We all need to have some balance in our lives. All work can be stressful while all squash can be too! Becoming a great player takes time and persistence. You need to put in a steady number of hours over a long period of time. As a coach it's about keeping some motivated, seeing their progress along this path. That's it for today. Hope you enjoyed this post. I find it quite interesting as I have experience being the best for my age and being injured and not sure if I could compete anymore. Life is all about balance, even for us squash coaches!